Jenny Beaumont, a freelance web developer based in France, describes the recent growth boom in France’s WordPress community and some of those who’ve helped it thrive. It would take six years for that to happen, but in the last eight months, three new WordPress events have popped up in different cities in France, including one official WordCamp and two independent conferences. The first one on the scene was WP Tech Nantes, a one-day, one-track event held in late November 2014, focused on development. They had 140 attendees for their first year and aim to double attendance in 2015. Although WP Tech draws from the growing WordPress community in Nantes, there are whispers of it going on the road. Next up was WordCamp Lyon, now the second official WordCamp in France, which took place June 5th. True to Lyonnais culture, the event was organized on a massive barge, with 230 participants in all. A one-day event with two tracks, it was amazing to see both a high percentage of women among attendees (30% according to organizers) and a real diversity of backgrounds. There were developers, designers, bloggers, marketing folk, and even a local Drupal community leader came out to join us and compare notes. The following day, in the sunny coastal town of Biarritz in France’s Basque region, was WPMX Day. The name comes from the local Meetup group and association, WordPress Meet and Exchange, founded in 2013. The close proximity to the Lyon event was a shame, but there was still a nice turnout with 110 attendees, and top-notch speakers such as Remi Corson (WooThemes, now Automattic), and Stephanie Walter, known outside the WordPress community for her work in web and mobile UI. Organizers of these new events have plans to continue the tradition, giving France a total of four annual WordPress conferences. There has also been talk of starting up more topic-focused events like WP Tech, so we may soon see a French Pressnomics among others. I’ve been working on and off with WordPress since 2007, and full time since 2011, but it wasn’t until January of 2013 that I visited my first WordCamp. The experience literally changed my life. A hardened freelancer, it gave me a taste of what it was to get out there, to share, and exchange with people about a subject that we were all passionate about. It gave me a glimpse of what was really going on around me: not only was I far from alone, but the French community was also thriving and producing a mass of interesting, exciting work. MailPoet is a distributed company based in France, with a total of 13 people in 8 countries. When I met co-founder Kim Gjerstad, a French Canadian who lives in Aix-en-Provence, at my first WordCamp in Paris, I began to get an idea of what the WordPress economy was like beyond the world of building themes. Kim spoke at WordCamp Europe in Leiden later that year about the freemium business model. Today MailPoet boasts over 3,686,635 downloads and continues to hire new staff. WP Rocket impressed me when, in February of this year, and following the lead of companies such as Buffer, Baremetrics, and Mattermark, they declared their pledge to total transparency by publishing numbers on their revenue and client base. With an update and new data published in May, this looks like it will be a quarterly tradition, one that I hope will inspire others as the taboo to share such information is very strong in France. Lead developer Julio Potier runs his own WordPress security consultancy, is a regular speaker at WordCamps and other web conferences in France and abroad, and is also a core contributor. Jean-Baptiste Marchand-Arvier & Jonathan Buttigieg are also prominent community members and half of the force behind WordCamp Lyon. Another one of our local heroes is Mathieu Viet, also known as imath. By day, Mathieu works as a programmer for La Poste. By night, he is one of the BuddyPress core developers. He is also co-organizer of the Paris Meetup group, and co-founder of Very French Trip, which started as a small group who travelled to Leiden together for the first WordCamp Europe, and has since turned into a successful podcast. The other leaders of this group are Grégoire Noyelle, our resident Genesis specialist, and Thierry Pigot, who recently signed on as CEO of Whodunit, one of the largest WordPress agencies in Paris (they are both also on the organizing team for WordCamp Paris). Ozh Richard, who is probably best known as co-author of Professional WordPress Plugin Development and creator of YOURLS, hails from Nantes. He attended WP Tech Nantes where he signed quite a few autographs, and gave his first ever talk at WordCamp Paris in January. It was quite the honor! Polylang is quickly becoming the preferred solution among many for creating multilingual sites with WordPress, the other two major contenders being WPML and Multilingual Press. We knew its creator was French, but it took the community a while to put a real name on the elusive Chouby. Frédéric Demarle made his public debut at WordCamp Lyon and was immediately embraced and revered by all. France also proudly counts a number of core contributors among its ranks, including: Amaury Balmer, Xavier Borderie, Alex Concha, Frederic Demarle, Nicolas Juen, Kevin Legrand, Michel (xiligroup), Lionel Pointet, Julio Potier, Fabien Quatravaux, Ozh Richard, & Grégory Viguier to name a few I was able to identify. WordPress, this simple piece of software that so many of us have built our businesses on — built a big part of our lives around — is a global community. It brings people together from all parts of the globe to share knowledge, promote a common philosophy, and develop a self-sustaining economy. In the same way we talk about promoting WordPress from the ground floor up, so too do local communities play an essential role in this greater ecosystem. WordCamps are both proof and reminders of that, and the growth seen in local communities in France has been tremendous this past year. Success stories from the other side of the world can be inspiring, but success stories from your own backyard are tangible. Only in local communities can we tackle problems that are specific to our cultures, to our laws and to our specific needs. Working together at this ground level creates momentum, and I believe that’s what we’re seeing here in France. WordPress is viable; an open-source economy is viable. The open exchange of ideas, the very principal of community that WordPress is built on, creates an environment in which we all can thrive, both financially and as human beings. The only foreseeable danger I see in local communities is losing sight of the global picture — of where we came from. All roads must lead back to WordPress. It’s not a perfect road; there are bumps to navigate and bridges to be built. I believe that strong, united local communities can make a global impact, helping to pave those roads and create a better experience for all. I also believe that the global recognition of these local communities can go a long way toward encouraging continued growth. The road goes both ways. I’m sure the growth will be stronger in the coming years ! The french community is really amazing with really greats events in the past year. Thanks Jenny for the recap ! And we are already launching WP Tech 2015 (http://2015.wptech.fr/) and we hope to have 300 to 400 attendees for this WordPress Tech Event ! Well done Jenny, WordPress community in France is there and it’s here to stay ! Great post, Jenny! Not to mention your fluency in English, which I admire. I’m hoping the tiny WordPress Rennes initiative will organize some events soon. Is there any IRC or Slack channel for French WP folks? Thank you, Marie, I’m glad you enjoyed it. 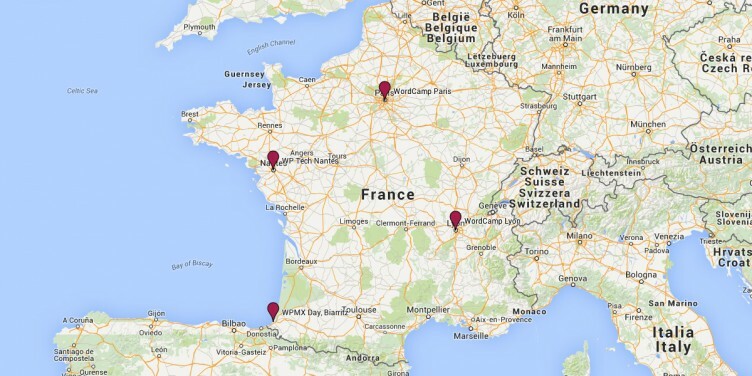 I recently gave the Rennes user group a “bump” – you know I live only an hour from there! So yes, hopefully we’ll see some action after the summer. 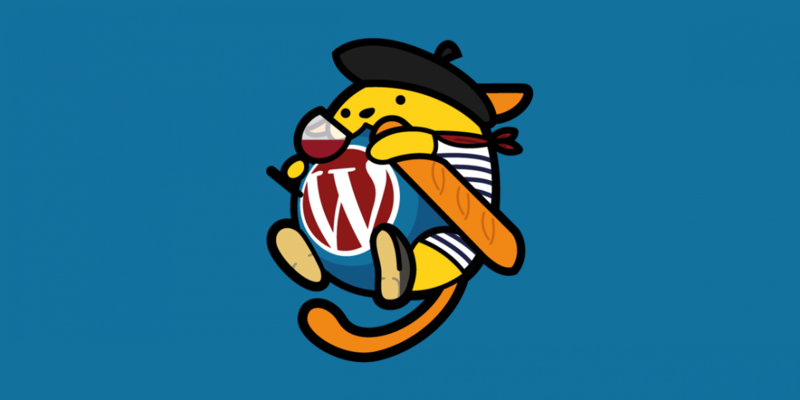 Hey, nice post about WordPress in France *clap clap*. I’ve been at WP Tech Nantes in 2014, it was a great success. I’ve had the pleasure to meet Julio, Alex, Daniel, etc. I’m working at Orange as a WP consultant and it’s difficult to fight against old clichés 😉 but i’m working on it, I became an evangelist towards my colleagues.